It’s Baselworld 2014, ladies and gentlemen. That means the best and the brightest of the watch world are exhibiting their latest and greatest innovations in the art of time-keeping. It seems this year there is a fare amount of modern takes on brands’ old models… a rehashing and updating of manufactures’ past standard-bearers (more on that in a later post). Arnold & Son, on the other hand, has created something completely different for Baselworld 2014. It is a novelty in the truest sense of the word. As a matter of fact, it’s a world’s first. It’s called the Arnold & Son Instrument CTB, and it’s the world’s first chronograph with dead-beat seconds. For those who don’t know, a dead-beat seconds function is a curious one. It’s a function of the Arnold & Son Instrument CTB’s escapement that allows the central seconds hand to tick once a seconds as opposed to the traditional continually-running sweep seconds hand of a mechanical watch. So, in essence, from a wearer’s perspective, the seconds hand ticks and behaves like a quartz watch. A dead-beat (or as Arnold & Son call it, True Beat) seconds hand may sound simple enough, but it’s actually a very complicated complication. And, this is actually the first time I’ve ever really liked a dead-beat seconds watch. While I could always respect the difficulty involved in creating a dead-beat or True Beat movement, I never understood the draw. 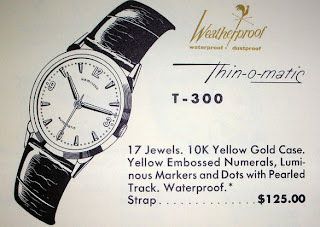 Why go through all of that time and expense to create a mechanical watch that ticks like a quartz. 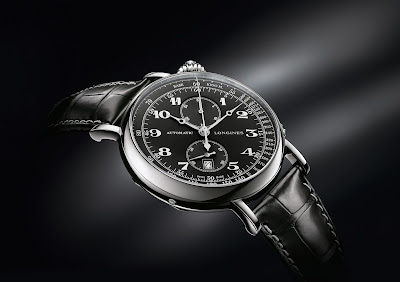 Part of the draw mechanical watches have on me is the constant motion of the seconds hand. It represents (to me at least) the unending passage of time, constantly, evenly flowing. But, by combining the two styles of mechanical seconds, the continuous-motion sweeping hand of the chronograph and the dead-beat hand of the time-keeper, the Arnold & Son Instrument CTB is actually stunning. The central dead-beat (read: True Beat) seconds hand ticks away sixty times a minute while the chronograph’s central seconds hand sweeps on and on. This creates a rather neat effect where it looks as if the True Beat hand is moving in slo-mo while the chrono hand is moving super fast. The effect is very, very cool, especially with the beautifully blued hands. But, let’s not forget the whole dead-beat seconds thing has been done before. It’s the marriage of the dead-beat and chronograph functions that set the Arnold & Son Instrument CTB apart. The in-house calibre A&S7103 self-winding, column-wheel, chronograph movement has a 50-hour power reserve (when the chrono isn’t running) and a very lovely layout. 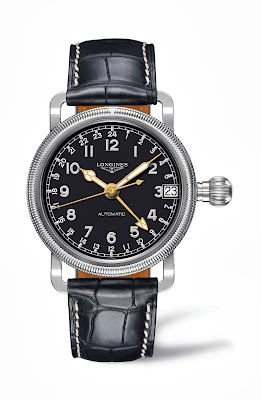 The main time-keeping is handled by a sub-register at the twelve o’clock position of the grey and silver opaline dial, while the 60-minute totalizer rests at the six o’clock and keeps track of each rotation of the center-mounted sweep seconds. The Arnold & Son Instrument CTB comes in a reasonably-sized 44 mm stainless steel case with stainless steel pushers and crown. It’s a simple, clean and classic case design that reminds me why I like Arnold & Son watches so much. The strap is either black or brown alligator and continues the watch’s theme of elegant simplicity. The movement itself is only 8.5 mm thick, so even by adding the case, sapphire crystal and display black, the Instrument CTB is still quite thin. The Arnold & Son Instrument CTB has a price of $27,135, which is fairly reasonable for a dead-beat seconds watch… even more so for the world’s first chronograph with dead-beat seconds. For more check out the tech specs below or visit Arnold & Son’s website. The CTB joins Arnold & Son’s Instrument Collection – and, like every other model from Arnold & Son, features an in-house mechanical movement. This line is inspired by the timepieces produced during the second part of John Arnold’s life when he and his son, John Roger, dedicated themselves to the quest for absolute precision (thereby establishing themselves as official suppliers to the Royal Navy). Underscoring its continued commitment to forward-thinking precision, Arnold & Son’s watchmaking experts masterfully rose to challenge of creating a World’s First in a wristwatch: a chronograph with a central true beat seconds hand. The magnificent CTB represents the brand’s second chronograph and blends the iconic Instrument Collection complication of a true beat seconds, while at the same time remaining true to the line’s optic code of superb legibility. This aesthetic direction has been achieved by incorporating a central true beat seconds hand and a central chronograph seconds hand – both on the same axis but with different jumping intervals. A huge technical challenge to have both functions operating from the centre, Arnold & Son’s unique invention is protected by two patents. Sometimes referred to as a dead beat seconds, the true beat seconds is a precision function wherein the seconds beat incrementally as opposed to sweeping along the dial – allowing for more accurate reading. To accomplish this function in and of itself is no easy feat. However, Arnold & Son has taken the idea to new heights by incorporating the true beat seconds on the same axis as the chronograph seconds hand. 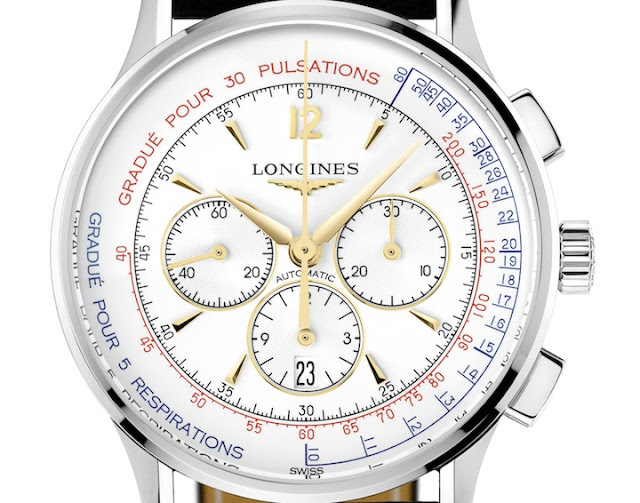 The result, when the continually running chronograph hand is started, is visually amazing. It gives the impression that it can catch up to the true beat seconds hand, but this never happens since the true beat seconds hand jumps away each second in a delightful and entrancing game of cat and mouse. The A&S7103 calibre is a proprietary mechanical self-winding movement with column-wheel operated chronograph. The movement is configured to give optimum balance and beauty to the dial, with off-centered hour and minutes at 12 o’clock, big central true beat seconds and central chronographs seconds, and 60-minutes chronograph indicator at 6 o’clock. The 31-jewel movement beats at 28,800 vibrations per hour and offers more than 50 hours of power reserve. This world’s-first timepiece also offers the efficiency of bi-directional winding thanks to ceramic ball bearings.